Emerald Creek Dares: Winter Wishes - Pt 1! Bring your best winter wishes by showcasing your Winter Solstice, New Year, Hanukkah, or Christmas creations. Happy December everyone! For our Winter Wishes dare, I decided to make a card celebrating the songs of the holiday season, which was completely inspired by that wonderful Partridge Tree In A Pear stamp from Emerald Creek. I 'peared' that stamp (sorry for the bad pun!) with Emerald Creek's Pine Cones, Eldergrove and Noteable stamps, Mini Victorian Snowflake charms and Iridescent Shimmer embossing powder. I've some step out photos on my blog so hope you can stop by for my how-to! 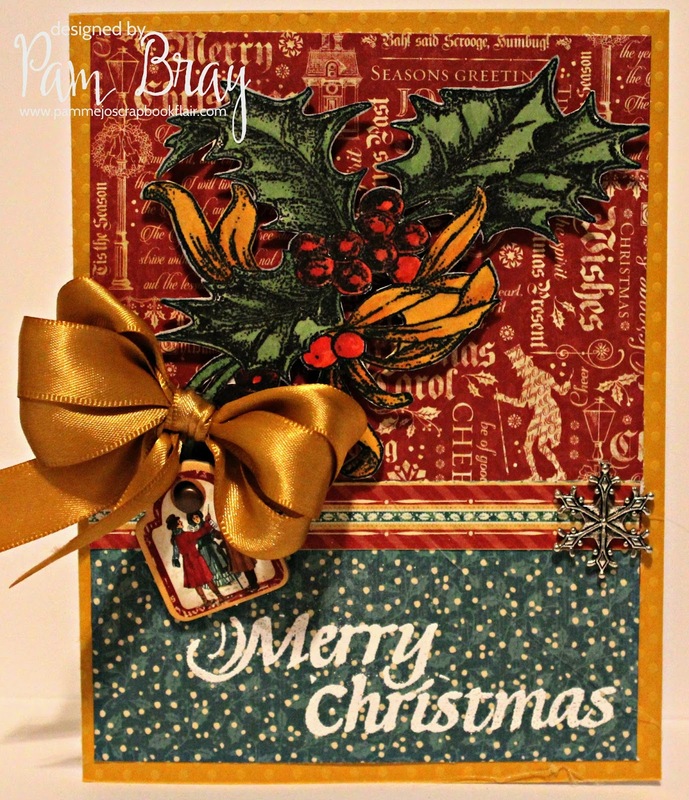 I'm so excited to be starting on my Christmas crafting, and to use this GORGEOUS Holly Branch stamp from Emerald Creek! We don't get much snow here in the south, and definitely not on Christmas, so I always love adding a little snow to my Christmas and winter makes! 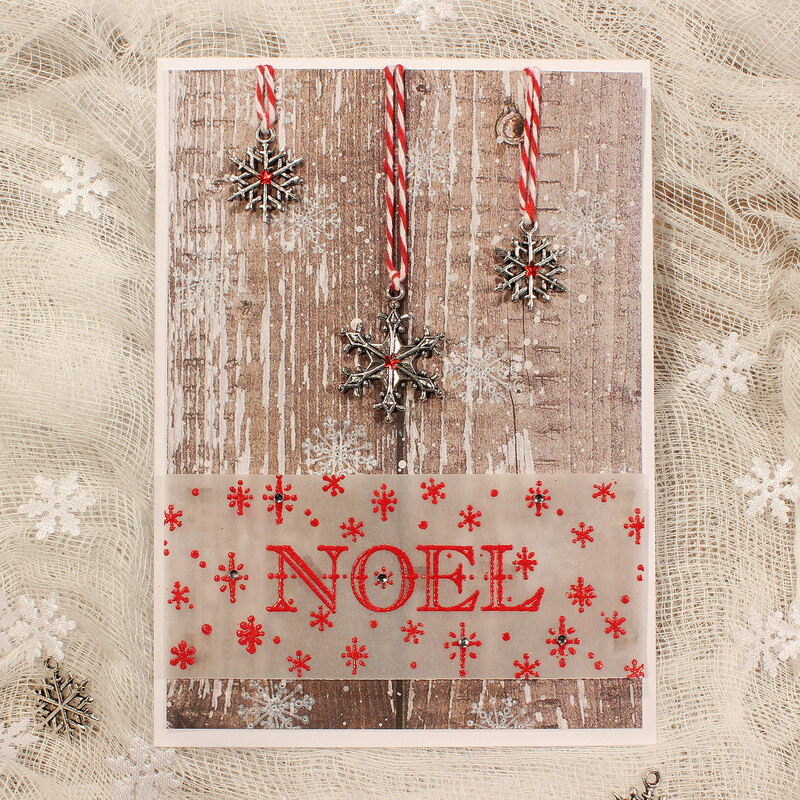 And a little sparkle and shimmer, too, all created with Emerald Creek's unique embossing powders! I have been getting in the Christmas spirit for about a month now, as it is my very favourite time of year! I am so happy that it is now socially acceptable to put up the tree and blast the holiday tunes. This tag really embodies the traditional Christmas vibe for me. 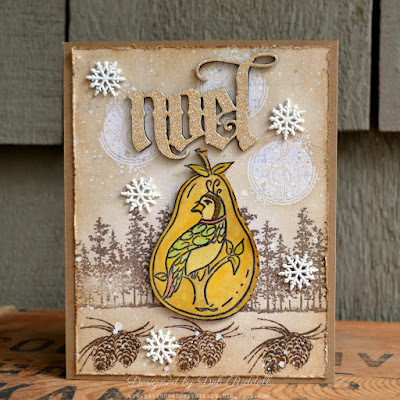 I loved using my new Christmas Polka Stamp on the background with the beautiful Champagne powder. From there, it all came together quite well. I hope you are able to check out my process video here to see all the details! As the song goes..."It's the most wonderful time of the year!". It is magical merriment with the wonder and beauty of snow (well at least for us northern folks) and the spirit of holiday celebrations of multiple faiths. My card take on this month's Emerald Creek Dare has me sending you warmest wishes for a fun and happy holiday season. It is time to start thinking of Christmas Cards and Winter Wishes! 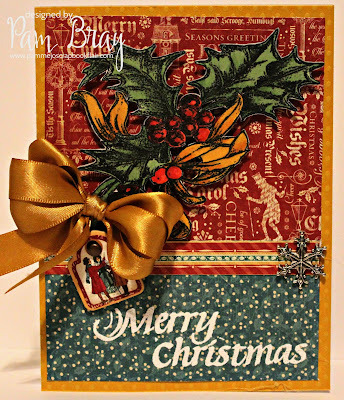 I created a quick and easy Christmas card using the Holly Branch Stamp and colored it with markers! Stamp and emboss the Merry Christmas sentiment to the front. 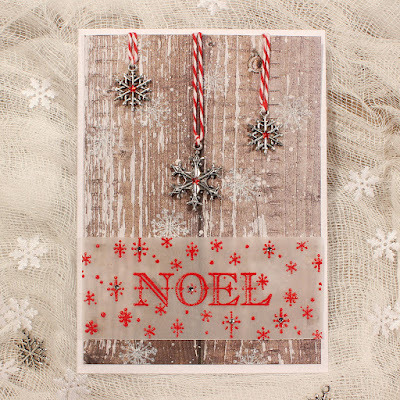 Add a beautiful charm from Emerald Creek Supplies Store to add that final touch along with a pretty bow and wha la you have a beautiful Christmas Card. Are you ready to start creating! 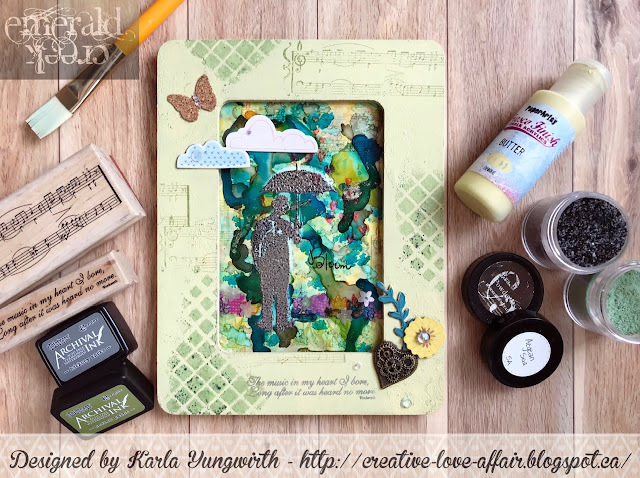 Heartfelt Freedom Dare with her A csoda szarvas (The Stag) entry. 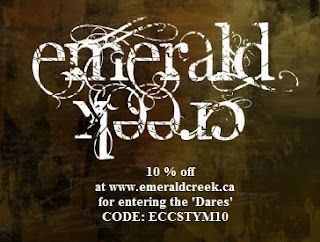 Eszter, please email Kim at info@emeraldcreek.ca for your prize code. To enter this month's Winter Wishes Dare, use the InLinkz below. Remember to follow the challenge rules as posted on the right sidebar of the blog, in order to be eligible. Congratulations to Eszter on the win!! And congrats to the top 3, Marty, Angela and Janet!! Amazing projects by all of you! WOOT WOOT! So excited to see the incredible projects to kick off December from the DT!! Wow, ladies, you have really outdone yourselves with these beautiful makes! Pam, I love that we used the same stamp and oriented it differently on our cards! Congratulations to Eszter, Marty,Angela and Jannet on your wins and to everyone who participated a huge thank you! We had some wonderful entries! Wowiewowiewowie!!! The DT hit a homerun again. So inspiring!! Wow such wonderful creations ladies! Loving the seasonal vibe! Congrats to Eszter on your unique winning project and congrats to all the other mentions! Fantastic to see all the many entries from such talented makers. To all challenge participants... thanks for sharing your inspiration with us. Congrats to Eszter, Angela and Jannet for their awesome creations! Thank you for choosing my tag as one of the Top 3! I congratulate everyone made nice work!